The variations to testing a lure never ends. Even when you have a lure that you think it all worked out and perfect, there is that one little change that you think that might make a difference. Sometimes your hunch pays off, and sometimes its a dud. So here are some updates on some prototypes. 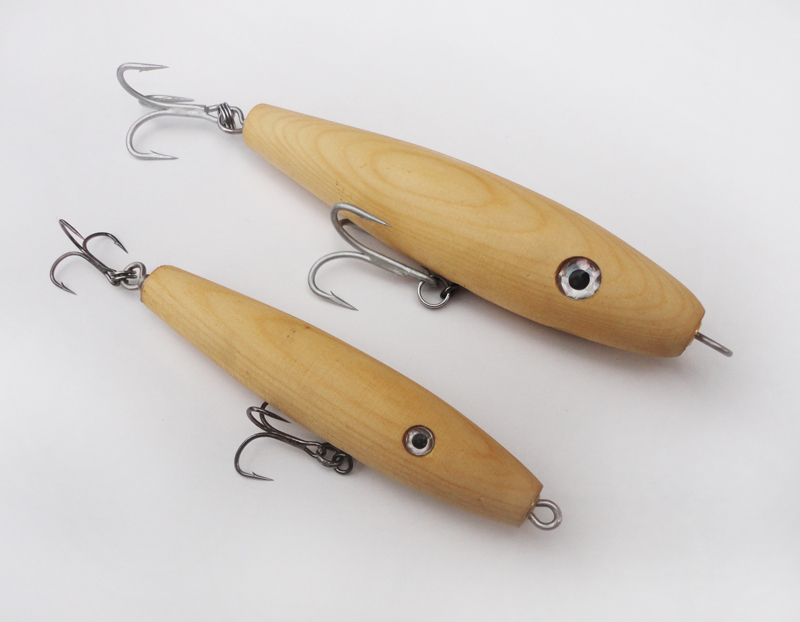 4" spook: Last I wrote, I thought I was close on this lure (version 4). It worked well on a quick rhythm, but got a bit confused when slowed down. I wanted to make a change, purely to see if I could make them a bit easier. 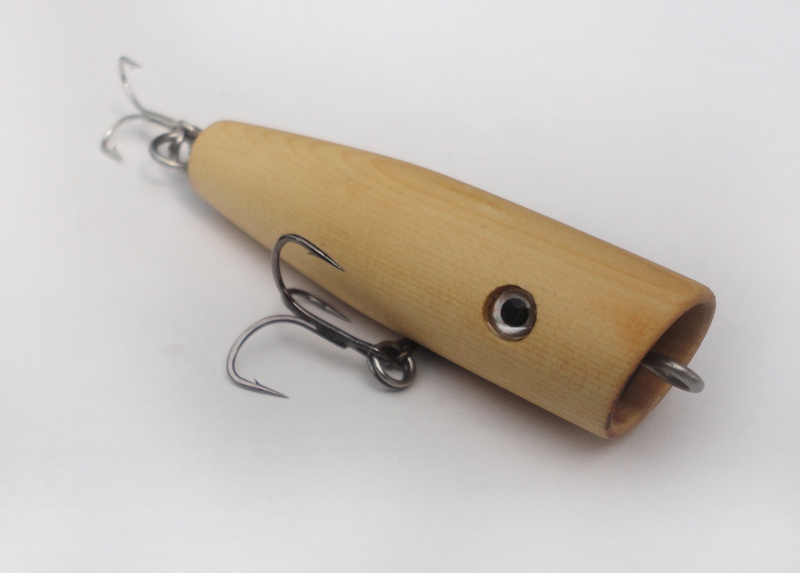 V4 had the line tie coming out of the bottom of the lure and it required 2 different drilling processes and I had to lay the blank out before doing any of the work. V5 I decided to try the line tie coming out the center of the lure. Making them was a bit easier, but I didn't know how it would affect the action of the lure. It was a success! The lure worked more easily, especially when worked slower more like a glide bait. The only negative (to those classic spook walkers) might be that it occasional went subsurface, but I actually liked that a lot. It definitely had the injured bait look to it. 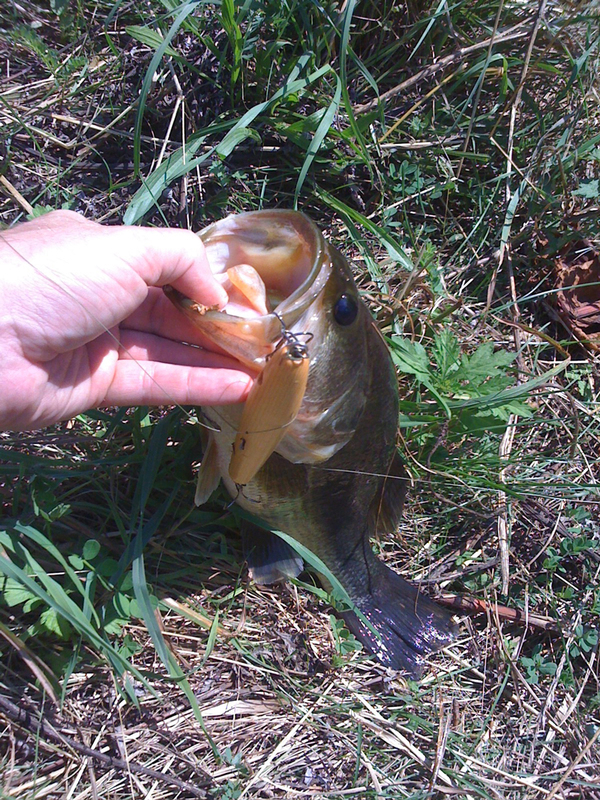 5" spook: V4 of this lure worked OK, but didn't like current as much as still water. So V5 needed to rectify this. After seeing how successful the 4" spook was with the line tie was coming out the center, I thought testing the 5" with the same design would be a good start to rectify this. V5 fished much better on a local lake with the line tie out the center. It glided better and walked very nicely. I need to find 30 minutes and head over to the inlet and see how it handles current. I worked on a sinking needlefish last fall and I think I basically have it nailed. A whole bunch will be heading out to the testing team to see how they fish. These are advanced enough where they even get paint. I just need to clear coat them, and send them out! I was supposed to take a trip in June to the Susky for some small mouth fishing. I was told to make sure to have some little poppers with me, so I whipped up a few poppers that were 3" long. We decided to try and get rid of some rust and hopped around some local ponds and lakes in NJ. I The first version I made were from some scrap birch I had lying around. 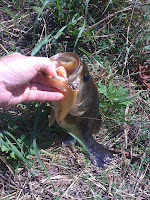 On the first 3 casts, 2 largemouth devoured the popper. Hmm. Maybe I was onto something here. After fishing it for a bit, It didn't quite sink, but it was close, especially when fished slowly. I thought it could be better so I made V2 to test out of Alaskan yellow cedar. Its a bit lighter than birch, and sits more horizontal.I was also able to change the through wire size from .051 to .062. It now throws a bit more water. Now I need to find some open water locally. Almost everything is weeds to the surface right now. After the next hard rain, this should get eaten hard. In addition to the largemouth and smallmouth bass and pickerel, I think the cocktail bluefish and back bay stripers are going to jump all over this popper in late August and early September. So that's where I am at with some prototypes. Hopefully they will all produce, and we'll see what changes are next for them!